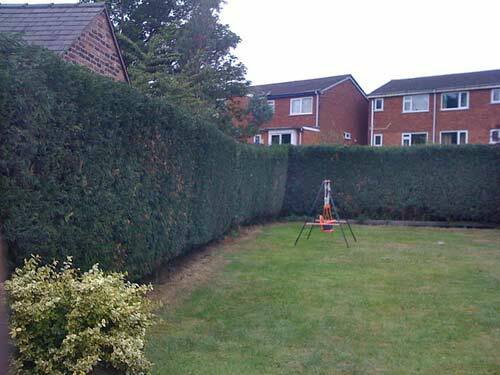 This large conifer hedge needed tidying up and reducing in height. 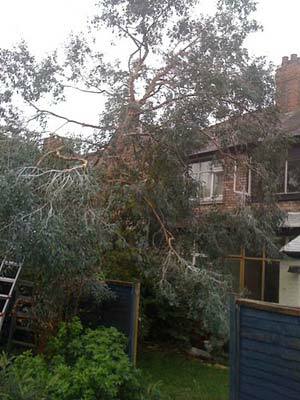 This Eucalyptus had a serious lean towards a neighbour’s house. 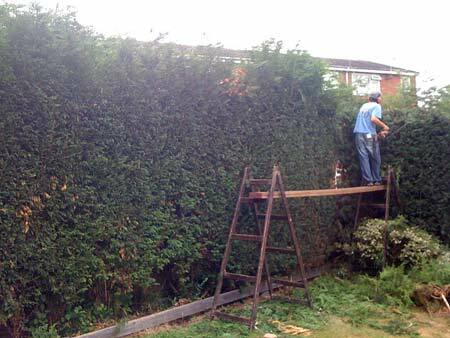 It needed taking down. The crown is carefully dismantled. 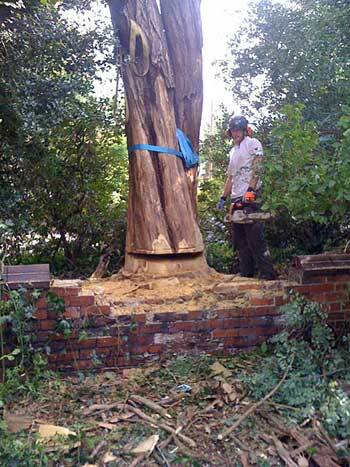 The trunk is then logged down. 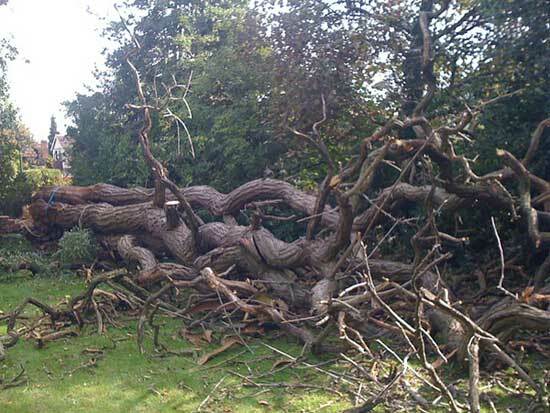 The stump of this tree was ground out to be certain of no re-growth. 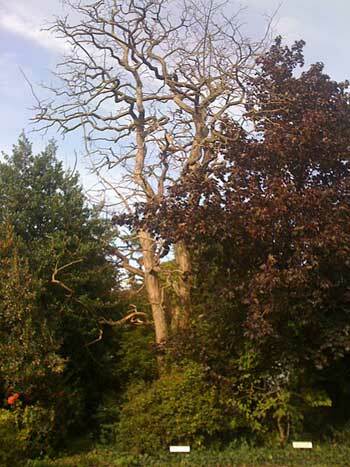 This large dead Acacia was posing a serious hazard to users of a car park behind that some large branches were overhanging. 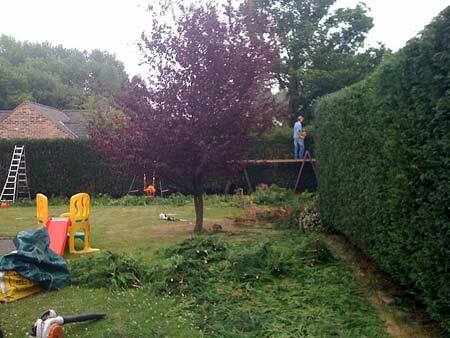 There was just room in the garden next door for the tree to be felled. 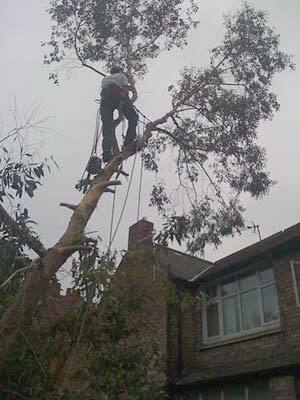 The tree was leaning against the felling direction so some careful planning was needed. The view from the car park. 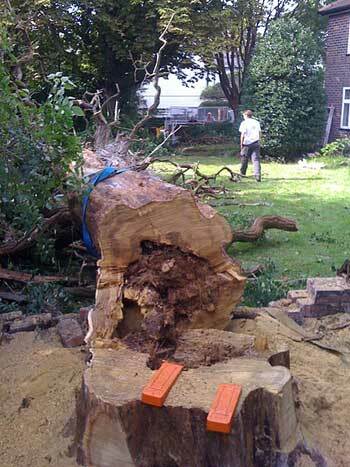 Some heavy branches were removed from the back of the tree to make the centre of gravity more favourable. 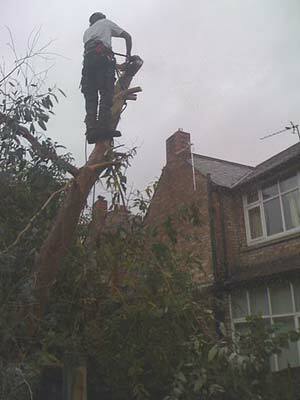 A couple of large branches were removed from the side so it would not catch other trees as it fell. 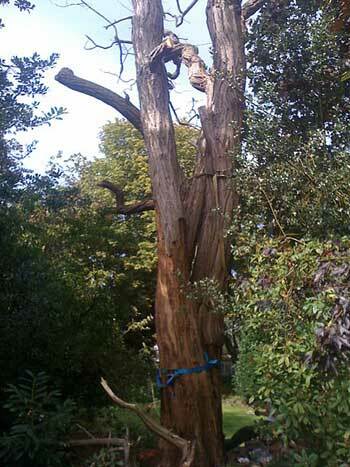 Parts of the tree were braced together to prevent it splitting apart during the fell. 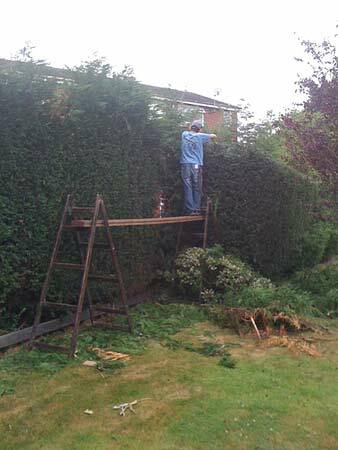 A deep gob was taken out to undermine the trees centre of gravity. 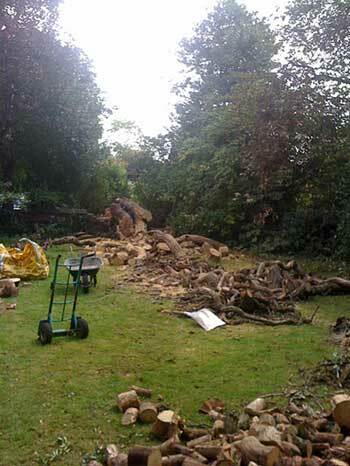 The rotten tree was felled along the garden with the help of some wedges and a pulll line.